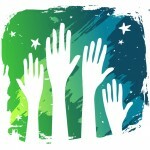 Community Outreach - Food Bank (Sign up here) *** Sign up is a two step process. Please ensure that you complete both sections, otherwise our numbers our numbers are not accurate and the event may become oversubscribed. In addition, please update your volunteer profile. Volunteers make the difference! New volunteers need to fill out an online application. This process can take a couple weeks to get approved so we recommend doing this as soon as possible so you don't miss out on any upcoming opportunities. See our volunteer page for all the info!